The Whitefish Bay could never match the spectacle of the great, masted vessels anchored in Duluth during the weekend's Tall Ships Festival. But the giant cargo ship that slipped quietly into the harbor over the weekend is still a big deal. The new ship, one of six built in China for Canada Steamship Lines, uses 15 percent less fuel than the company's previous class of ships. Longer than two football fields, it operates with state of the art safety and navigation technology, including a thermal imaging camera that helped guide the ship in through dense fog, said Capt. Kent Powell. Its voyage from Montreal marked its first transit in the Great Lakes - St. Lawrence Seaway. 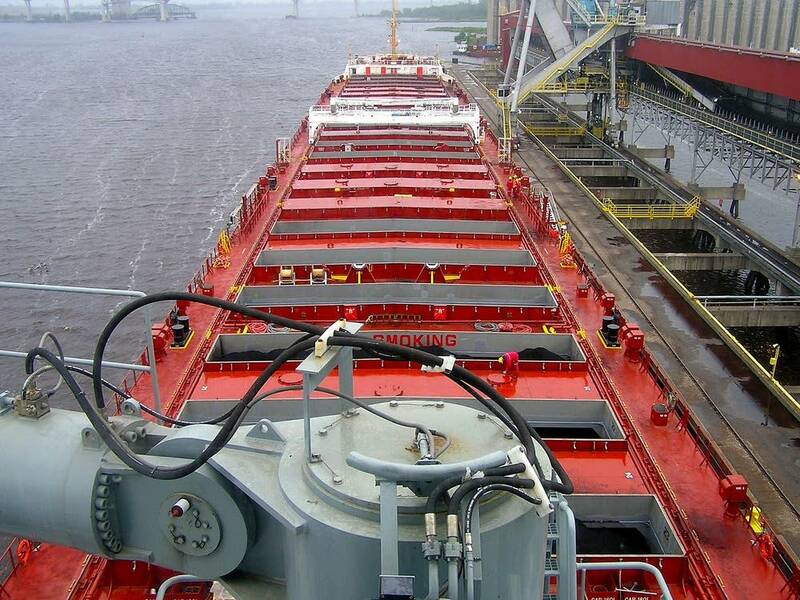 It was bound for Quebec City with about 30,000 tons of coal. 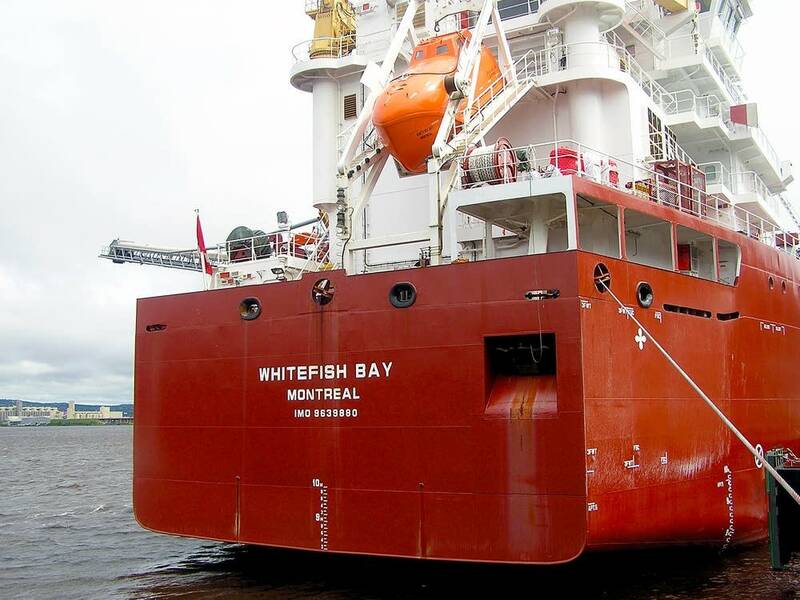 Canadian shipping companies are building 14 new ships, spurred in part by their government's elimination of a 25 percent duty on foreign built vessels. American companies have only built one new ship in recent years. Instead, said Glen Nekvasil, vice president of the Lake Carriers' Association, they're upgrading their older ships with new engine and navigation technology. 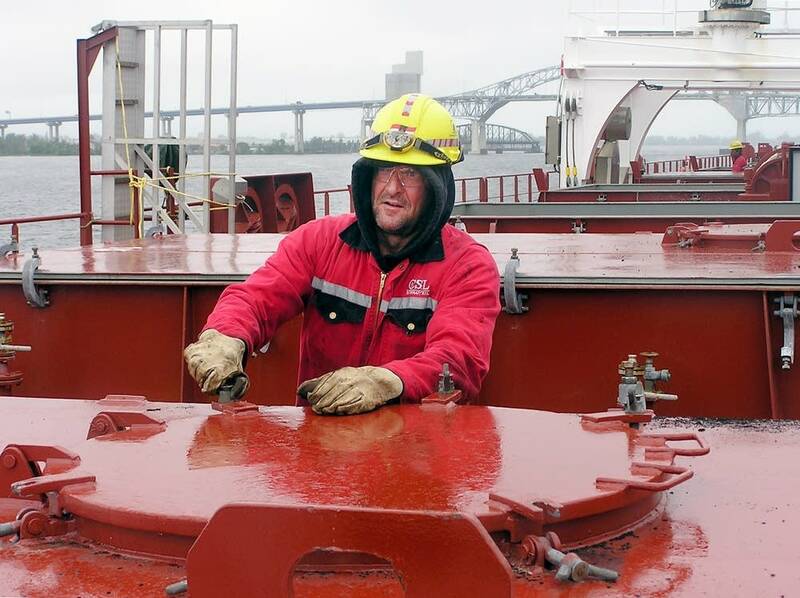 "Since our ships stay exclusively on the Great Lakes, hulls are not exposed to salt water, so they can last basically as long as you want them to." The oldest ship on the Great Lakes, the cement hauler St. Marys Challenger, was built in 1906. The last significant wave of ship building on the Great Lakes took place in the 1970s. The new vessels are much more efficient than older ships, said Dan McCarthy, vice president with Canada Steamship Lines. Using 15 percent less fuel means the Whitefish Bay will generate lower emissions. It's also built with room for new emissions scrubbers and ballast technology to kill invasive species that might hitchhike on board.